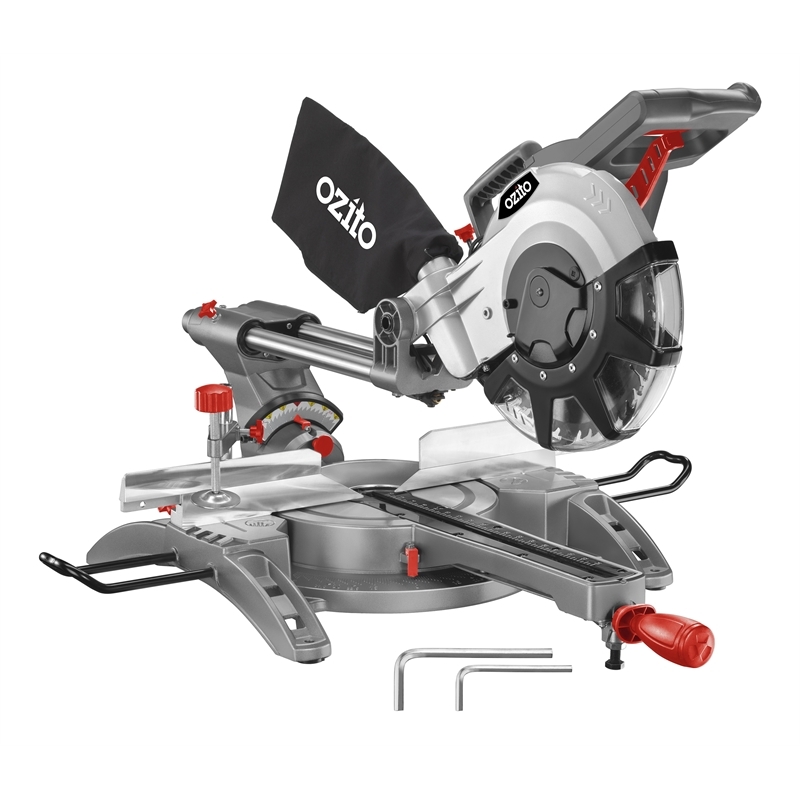 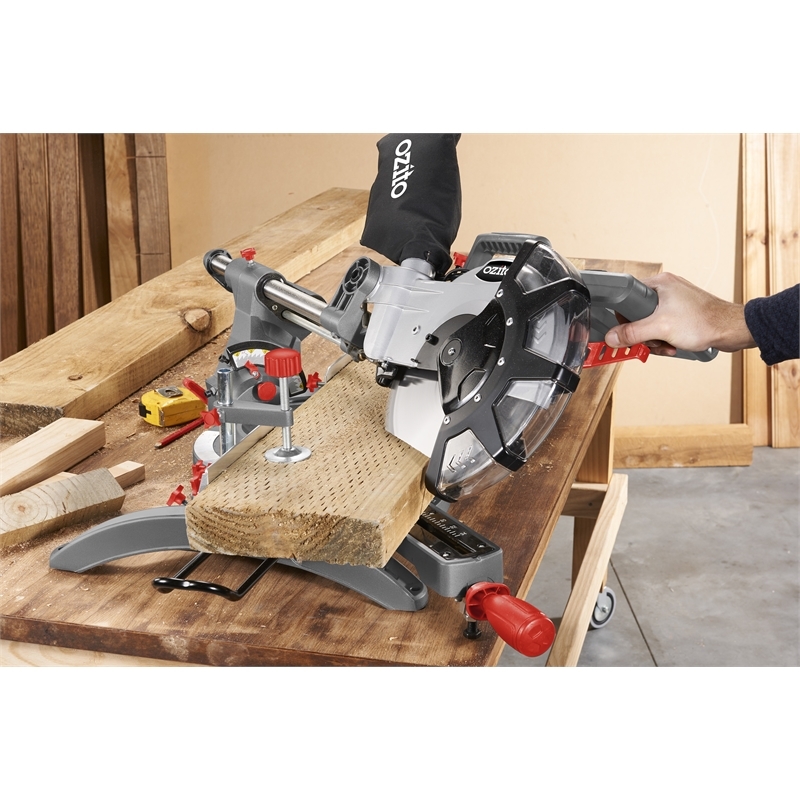 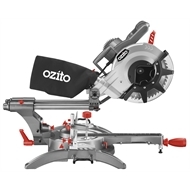 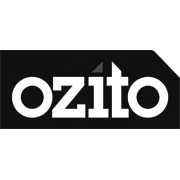 Ideal for the home handyman or renovator, the Ozito Double Bevel Sliding Compound Mitre Saw with laser guide allows a variety of cuts to be made including cross cut, bevel, mitre and compound mitre. 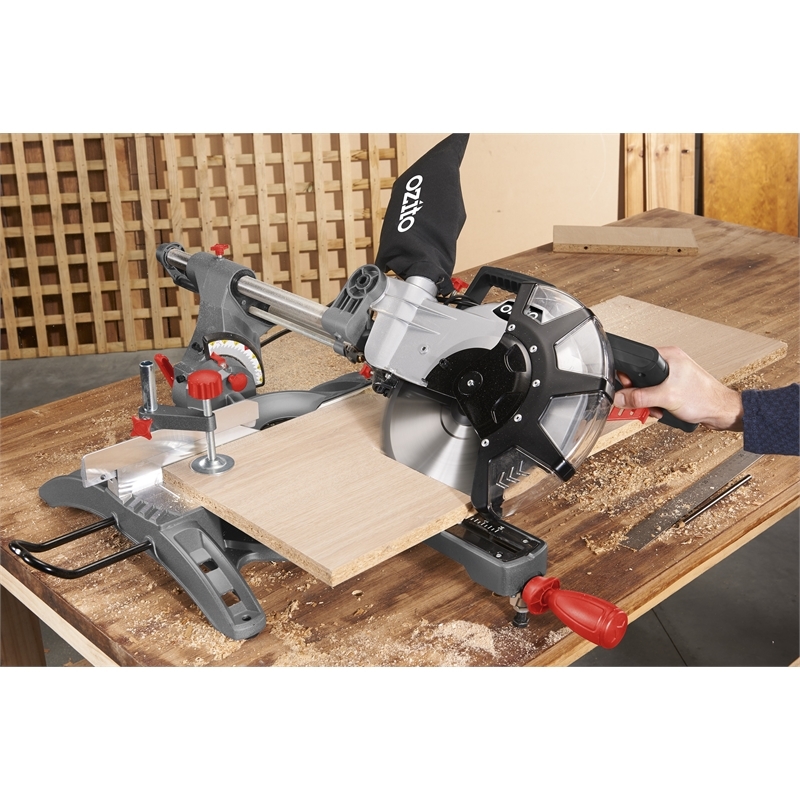 Cut decking boards to length, trim down skirting boards, shorten door frames or window casings or cut dowels to length amongst other things with this versatile and powerful tool. 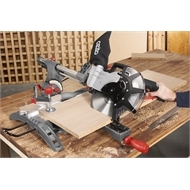 The dual rail slide bars enables you to cut wide boards up to 320mm in one pass. 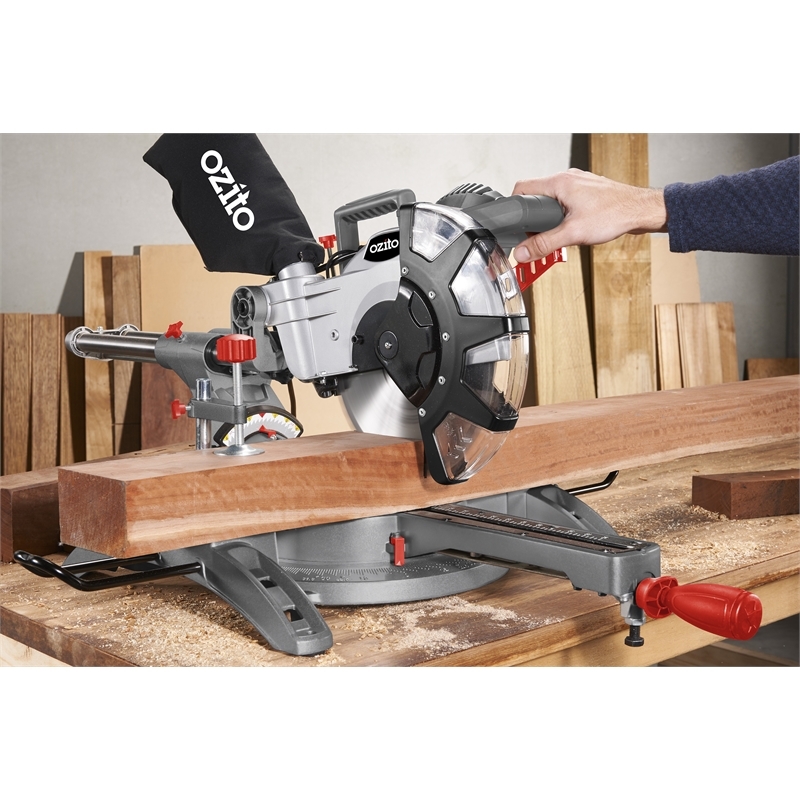 The rotating aluminium table for angle cuts ranging from -45° to 45º with positive mitre table stops enables quick and simple adjustment. 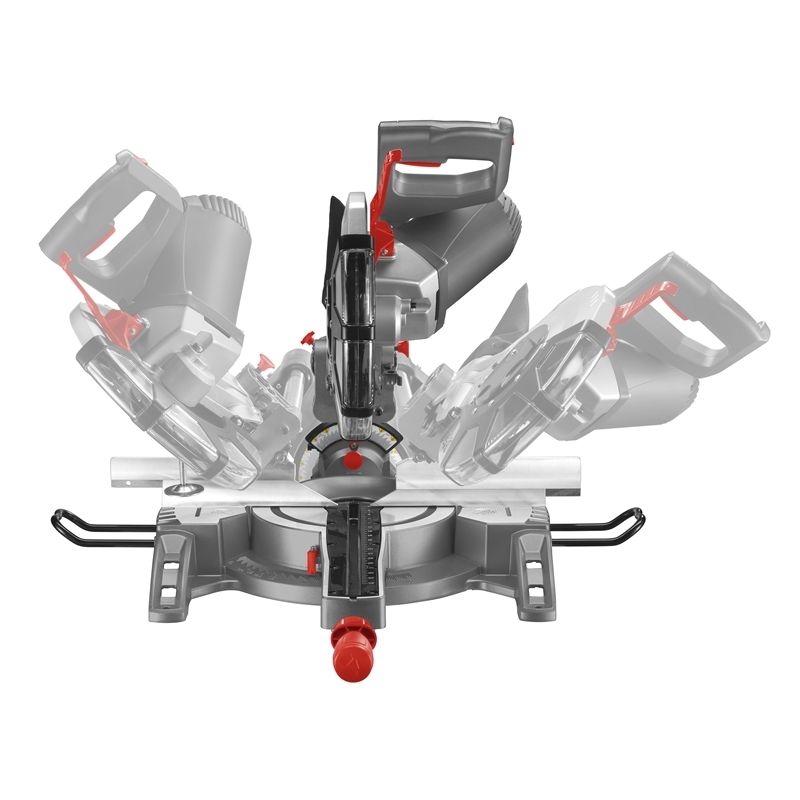 Depth of cut adjustment allows the cutting depth to be set for trenching and rebating applications. 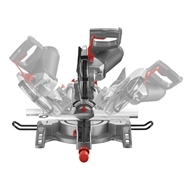 Material support bars provide additional support when working with longer workpieces whilst the D-handle design improves ergonomics and offers added comfort during operation. 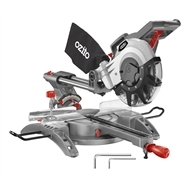 Robust alloy construction provides added strength and durability.